The first few weeks of new music setting the pace for 2017 seem promising enough. 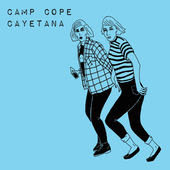 Poison City Records delivers a must-listen split from the Melbourne indie rock trio Camp Cope and their more boisterous and gritty Philadelphia counterparts Cayetana. 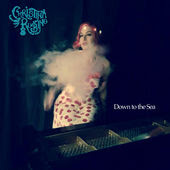 Although not nearly as boisterous as the aforementioned, there is a addictively relentless undercurrent in the new single "Down To The Sea" by Brooklyn singer-songwriter Christina Rubino. 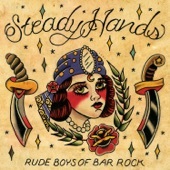 Lush and smokey vocals make for a more anthemic indie rock aesthetic. 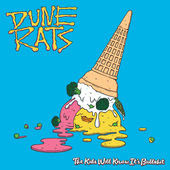 Changing gears, Dune Rats is all about keeping the buzz alive as a stoner pop indie band that hails from Brisbane. There is a certain surfer vibe to their restless suburbia existence that eventually manifests itself into a collection of lo-fi party songs. 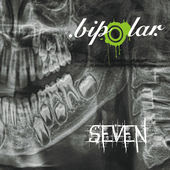 After eight years of growth and evolution in the unlikely city of Las Vegas, female-fronted metal band .bipolar. is ripping their blistering 4-track EP Seven. The band, now consisting of bassist Chris Kmit and guitarists Kevin Lemus and Jaisen Hinds along with Charlie and drummer Brian Hanks, has finally found the right technical mix to make something remarkably listenable for DIY metal fans. These outings round out our top four this week. Honorable mentions: "Sheep" off Astrovan by Mt. 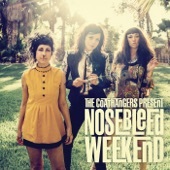 Joy, Nosebleed Weekend by The Coathangers, and Machines of Our Disgrace by Circle of Dust on iTunes. "Keeping Hope Alive" by The Two Tens via Bandcamp is also worth a listen. A few more tracks caught our interest over the last two weeks. We'll drop them in when and if we can.